Writing and speaking practice on describing a picture while students learn about art. The above printable, downloadable handout is a great resource for high school students and adults at Pre-intermediate (A2) and Intermediate (B1) level. 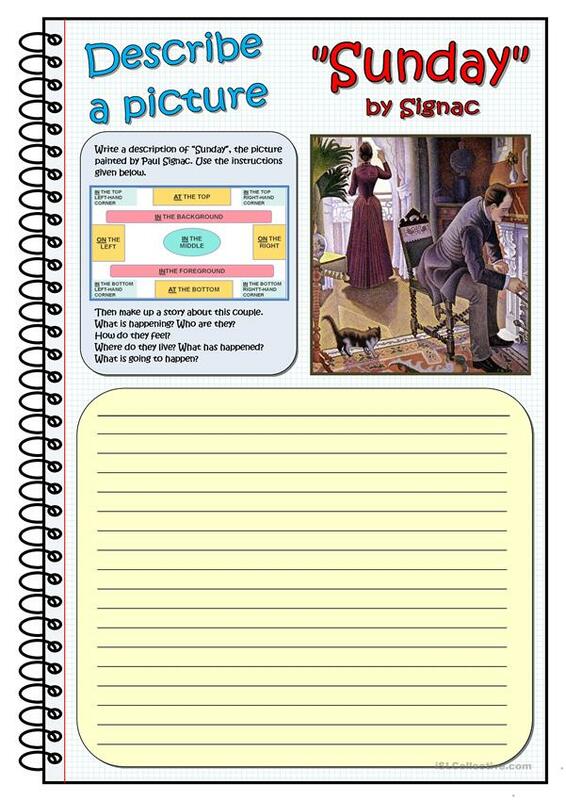 It is aimed at revising Prepositions of place in English, and is excellent for developing your students' Speaking and Writing skills. It focuses on the vocabulary topic of People.